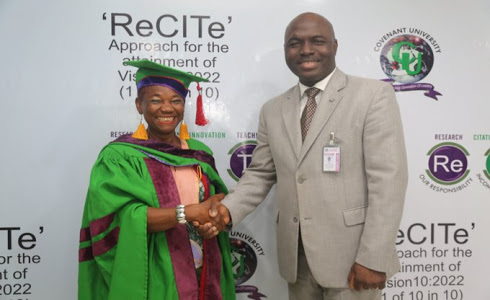 65 years old Mrs Enakimio, popularly Known as "grandma", a mother of four and seven grandchildren recently bagged her Masters Degree from Covenant University... The school describes it as Possibility Mentality. Kudos to Grandma Enakimio!